It may be a bit hard to believe, but we have actually seen cases where a dryer has lost up to 50 percent of its capacity! We don’t want to see this happen to anyone so in this post, and the next one, we will talk a little bit about maintaining dryer efficiency. Let’s start with the basics. Maintaining maximum air flow is the key to efficient performance. 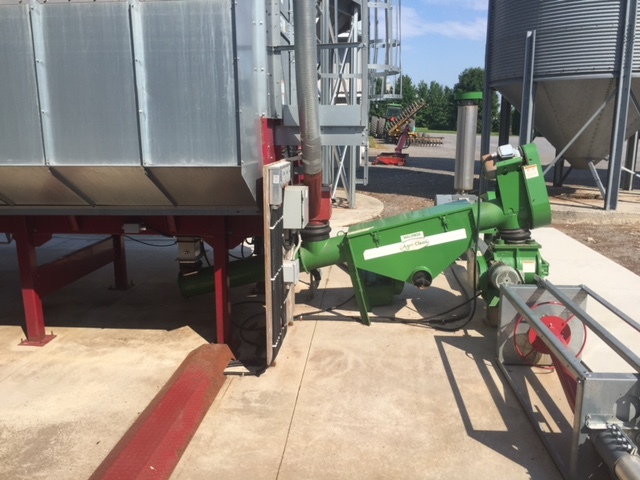 Because drying grain involves hot air passing through the grain, anything that reduces this air flow impacts performance. With screen dryers, a great deal of moisture is expelled from the top few feet of the dryer. Much of the easy-to-dry product such as fines, broken kernels, chaff (red dog or bees wings) loses the bulk of its moisture here. These particles then tend to get pushed through the screen to the outside where they build up as a wet mess and stick to and plug the screens—thereby reducing air flow. Over time, this wet section will steadily move further and further down the dryer as the screens in the higher portion above it plug up. This process gradually reduces the effective capacity of the dryer, and when drying capacity is lost, drying efficiency is reduced. One way to slow this process is to clean the product ahead of drying. This will reduce the broken, fines, and red dog (bees wings) which tend to plug the screens. 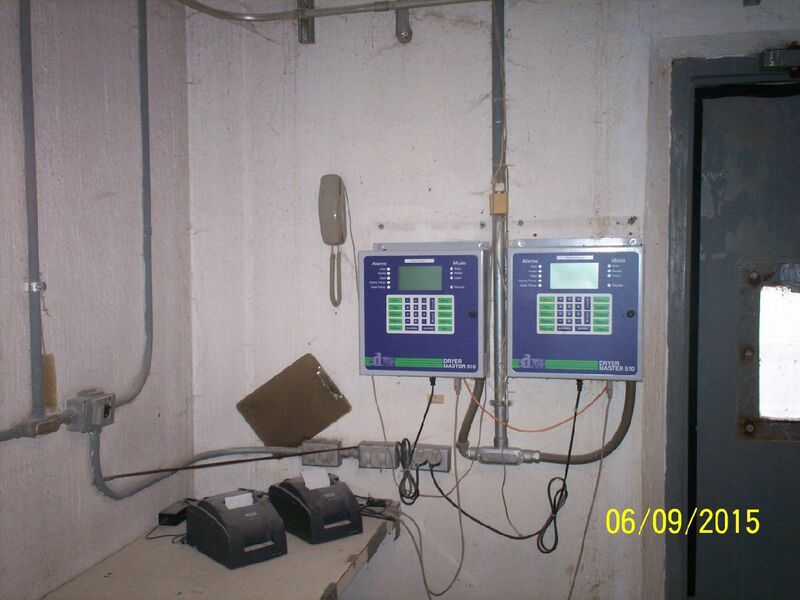 This entry was posted in Control Technology, Moisture Sensors and tagged agriculture, bees wings, canada farming, canada grain dryer, coffee, corn, dryer master, drying, farming, grain dryer, grain moisture, midwest grain, north america grain, red dog. When we say Dryer Master is the “premiere online moisture measurement and moisture control technology,” we mean it. From the beginning, we at Dryer Master have steadily improved and enhanced our technology to keep it on the leading edge. We’re proud to say we’ve now been serving customers for three decades—that’s right, this year, we’re turning the big 3-0. We’re not shy about our age—in fact, we’re more than happy to talk about where we’ve come from and how we’ve grown since 1983. We began by controlling moisture in the drying process for corn, a notoriously difficult process to control. By helping our customers dry more product closer to target, we were able to help them experience real savings in dollars and quality. With this success, we expanded the application of our moisture measurement and control technology to other processes including manufactured food and feeds. This proved to be an important step for our business, and our capabilities—and it paid off. As our focus has grown over the years we have continued with a tradition of innovation. And as we have learned more about the drying process, and as technology has evolved, our systems have evolved as well. We now have control and monitoring systems that can be integrated into dryer control panels or plant-wide systems or accessed via the web. We’re currently working on the next generation of Dryer Masters, and you can be assured that we will be building in all of the latest technology to provide the kind of access and quality of control that have made Dryer Master the trusted name in drying control for 30 years. It’s safe to say we have an incredible future ahead of us, and we thank you, our customers, for making our 30th birthday a memorable and exciting one. This entry was posted in Agriculture Industry News and tagged 30, agricultural, agriculture, anniversary, business, dryer master, moisture measurement. 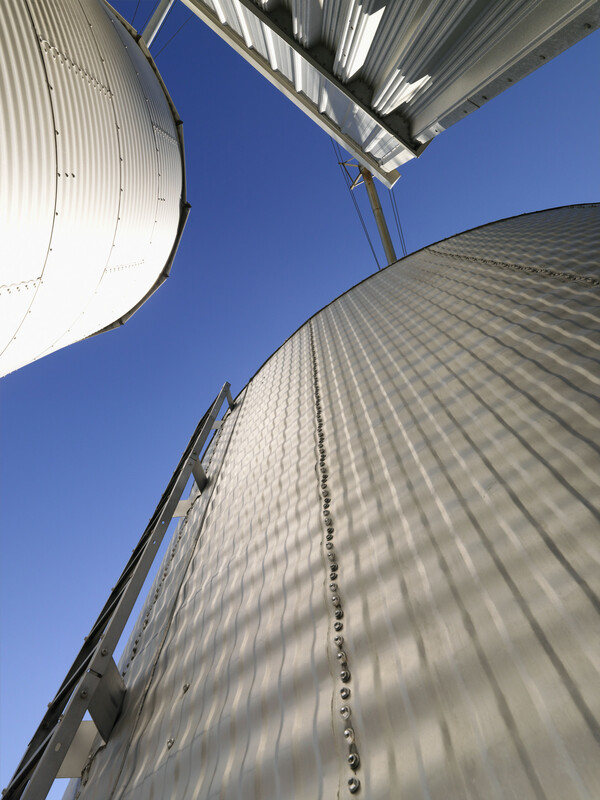 At Dryer Master, our products function to monitor grain in the agricultural industry. 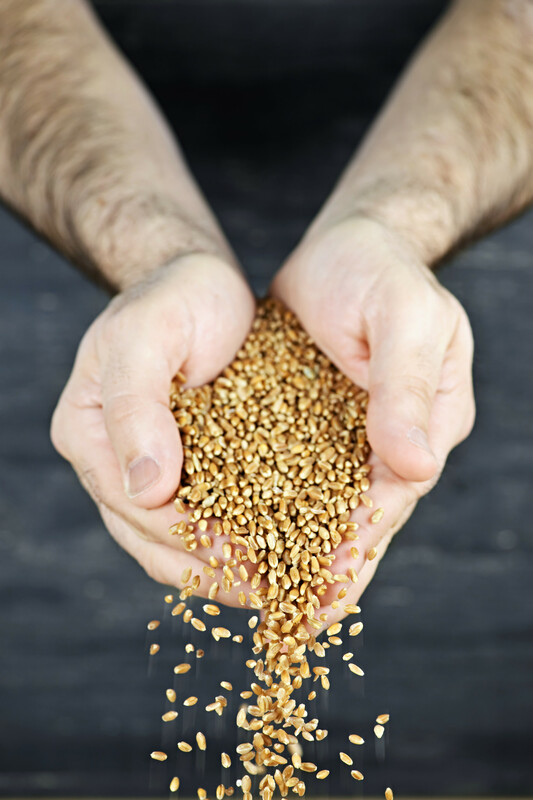 Most of the time, we see the crops after they’ve been harvested and are in drying containers, but we still are aware of the entire process it takes to get a grain from ground to dinner table. Regardless of whether a farmer is growing corn or coffee beans, each plant starts as a seed that needs to be nourished. Farmers are aware of a delicate chemical balance needed in the soil to ensure the health of crops. Carbon, hydrogen, and oxygen are essential to plant health, and since they’re free-flowing in the air, there’s no need to worry. However, nitrogen, phosphorus, and potassium are equally as important, but they usually need to be added to existing soil through fertilizer. Nitrogen aides in processing carbohydrates, which builds new tissue, and also spurs protein creation. Phosphorus assists in producing oxygen and sugar. Potassium helps with moisture absorption and food metabolizing. This supply of concentrated chemicals provides plants with the necessities to quickly grow, which is essential for the agricultural industry, but all fertilizers aren’t created equally. A quick check of the label typically shows three numbers on a package (such as 20-17-10) to display the nitrogen, phosphorus, and potassium mineral balance. The amount of these nutrients needed varies between crops, and it’s up to the farmer to test the pH balance and figure out what the plant needs. Too much fertilizer can be a bad thing—especially with Nitrogen. If there’s too much, the plant will be heavy and have difficulty growing upright, but if there’s too little, the plant will grow weak and be unable to fully absorb water. Most manmade fertilizers comes as pellets, powders, or liquids, and as long as the soil is enriched and healthy, the end result will be up to par. At Dryer Master, we think it’s important to know every aspect of the industry, and if you want to learn more about us and our products, head over to our website. This entry was posted in Agriculture Industry News and tagged agriculture, corn, crops, farmers, farming, fertilizer, grain, growth, plant, planting. Canada has the eleventh-largest economy in the world, which means its industries are wealthy and strong—but not without stiff competition from across the globe. While the country has major logging, oil, energy, forest, and mining industries, one undoubtedly sticks out among the rest: agriculture. In the past decade, Canada’s agricultural industry net worth increased by 78 percent, and many outlets credit global demand and innovation as to why the sector is seeing such great success. Following the second-largest harvest on record in 2012, Canadian exports are driving revenues up for the long term. The global population is growing, which means demands on agriculture are nothing but a positive for Canada—especially as consumers lean toward high-quality, organic, and halal products found primarily in North America. Canada’s gross output quadrupled in the past five decades because technology, consolidation, and management innovations propelled and expanded the industry. The current exports and imports of the country are valued at between $31 and $41 billion, and as long as the global reliance on the Canadian agriculture and agri-food sector increases, there’s nothing but higher numbers in the future. Dryer Master is a prime witness to Canada’s growth in the agricultural sector. Our headquarters are in Ontario, but our moisture measurement and control technology benefits companies in China and the Midwestern U.S. Since 1983, we have seen a steady growth in companies who need our technology to dry a range of products from coffee beans and grains to pet food and powders. Despite our customers’ rapidly changing technology and processes, our systems can adapt to whatever job they need completed, and we couldn’t be happier to assist the booming industry. This entry was posted in Agriculture Industry News and tagged agricultural industry, agriculture, agriculture future, canada, economy, exports, technology.